Whether it’s culture, sightseeing or adventure sports, there are plenty of things to do in Mussoorie. But, not all of them are worth the trouble or the effort. If you are in Mussoorie for only a short duration, you want to know which experiences are worth your time. In this article, we tell you about the top things to do in Mussoorie to thoroughly enjoy yourself. Although this sanctuary is located away from Mussoorie, it is worth visiting if you are in the hill station. Great for the kids and the family, at this sanctuary you will come across a few wild animals, plenty of trees and some exotic birds. There is a trekking trail at Benog that is pretty easy to complete. 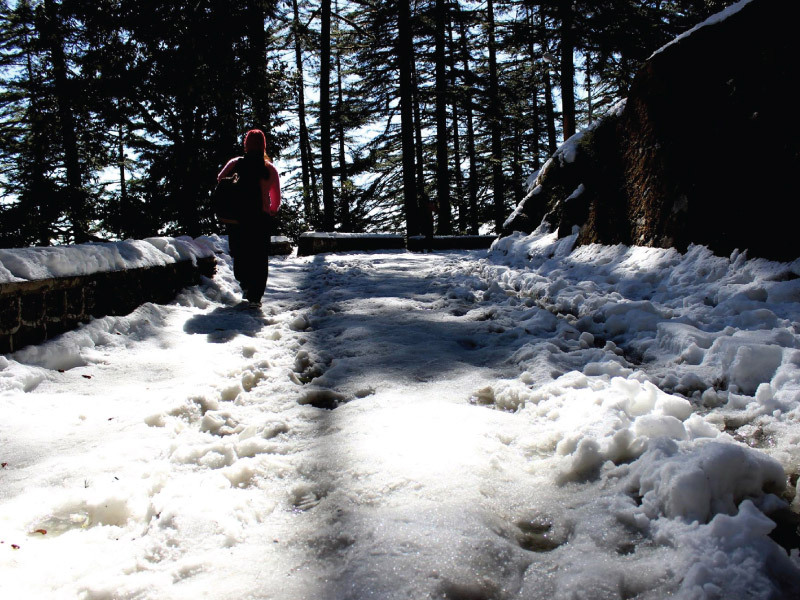 From the sanctuary, you can get stunning views of the snow-clad Chaukhamba and Bandar Punch mountains. The best way to explore Lal Tibba to walk from Char Dukan. The route is amazing and you will come across scenic views of the hills. The walk is a short one, about 1 kilometre. You can relax for about an hour at Lal Tibba and enjoy a few local street food varieties at the many stalls near the hill. If you love going on treks or walking through nature trails, this activity is just for you. The Hathipaon walk will take you through the forest as you come across a variety of flora and fauna. On the walk from Happy Valley, you will also get to see birds. Once you reach Hathipaon, there are a few camping sites where you can chill for a bit, before heading back. In Mussoorie ’s fresh water, you have a lot of opportunities for trout fishing. Although, you will need to take permission from the forest officials before fishing. Some camps in Mussoorie offers fishing as part of their camping activities. Every tourist who comes to Mussoorie has to experience the ropeway trolley to the Gun Hill. This hill is the second highest in Mussoorie and the views you get on this 400-metre journey are stunning. There is so much greenery and the landscape is so beautiful that it is almost magical to see. There is no better way to explore the heights and soak in the surrounding hills than by going paragliding. If you are in Mussoorie, you have to experience this amazing adventure sport. It is conducted almost everywhere in the hill station by experienced trainers and you are given the latest safety equipment. Mussoorie is one of the best places for adventure sports in North India. The hills here offer the perfect platform for parasailing, rock climbing and ski riding, which is becoming a popular adventure sport in this part of the world. You will pass through a zipline between two mountains from where you can catch stunning glimpses of the forests nearby. The moving rapids of the rivers in Mussoorie are the perfect setting to enjoy rafting. Conducted by professional instructors under stringent safety environment, rafting is a good way to explore adventure sports in Mussoorie. The Uttarakhand Tourism Board is one of the finest rafting operators in Mussoorie. Mall Road is where all the action is at in Mussoorie. Particularly in the mornings and at night, this place is packed with tourists looking to gorge on some local delicacies. On offer is everything from momos to samosas at very reasonable prices. Mussoorie has a great drinking scene, with many upscale bars. These include The Tavern and Nostradamus – The Rooftown Bar. At these bars, you can enjoy a quiet drink (take your pick from Indian and international brands) or a good meal (Indian and international cuisines are available). In Mussoorie, you have plenty of opportunities to shop for local products. The markets in Library, Landour and Kulri are great places to grab souvenirs, silver jewellery, books, and handcrafted wooden items. There are some shops in the Mall Road area too, of which the Tibetan Market is the best place to get yourself some good buys. A great place to learn about the Himalayan history and gaze at art, the Soham Heritage & Art Center is a cultural centre and exhibition centre that showcases Himalayan culture. There are paintings and sculptures exhibited here regularly. There is a small shop in the complex where you can buy locally made products and some artefacts. 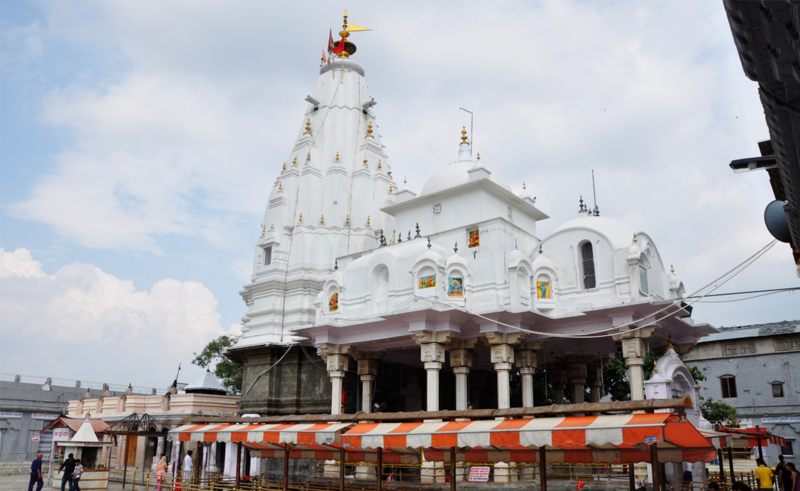 Situated on a hill lock, this temple is dedicated to Goddess Durga. Each year, thousands of devotees come to the temple to seek favours and blessings of Goddess Durga. From the temple, you can soak in stunning views of the Yamuna River. There is no lack of activity and fun to be had in Mussoorie, all it needs is a proper plan and knowledge of where to go. This article should help you plan your trip to Mussoorie. We have given you the best things to do in Mussoorie, follow this guide and you are bound to have a good holiday. If you are looking for more fun and cool things to do in Mussoorie, you can give us a shout-out in the comments section below, and we would be glad to respond.